Get this Aromatherapy 450ml Essential Oil Diffuser for just $10.79 with the coupon code: 40LUSPRO at checkout. 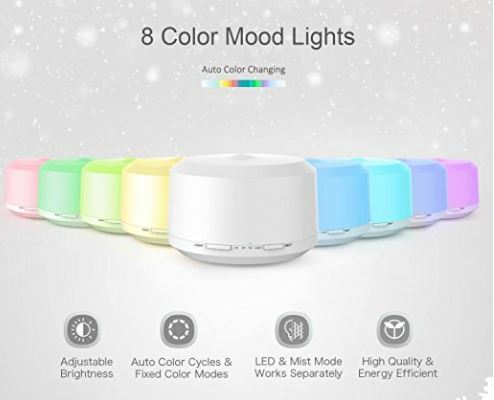 – Essential oil diffuser, air humidifier and night light all in one, the ultrasonic technology provides whisper smooth mist and pleasant aromas to create a calm, relaxing environment, soften and moisten dry and chapped skin and helps you breathe and sleep better in winter. – Gift-wrapping is available for a loved one, family, friends who love diffusers for essential oils or can benefit from aromatherapy healing, and for all special occasions. 30-Day Money Back Guarantee and 90-Day limited product warranty, Order Without Worries!